At the conclusion of the final event at the world figure skating championships, it was time to take stock of just what is happening for Canada's skaters. This was the first time since 2004 that a Canadian has not made the podium at worlds. Michael Slipchuk, Skate Canada's high-performance director, says no. According to Slipchuk, there is a lot that goes into nurturing world medallists and champions, and this is simply part of the journey. Canada has been here before. Slipchuk remembers a time after the Kurt Browning and Elvis Stojko era where it was unclear from where the next men's champion would arise. Shortly after, Jeffrey Buttle was on the scene, earning Olympic bronze in 2006 and a world title two years later. "The goal at these world championships was for the Canadian team to leave here having qualified a minimum of two entries per discipline for next year's worlds in Montreal," said Slipchuk. The final standings produce placement points, and in the case of the women's and pairs skaters, Canadians placed high enough to allow for two entries in each discipline. For the ice dancers, with three teams finishing in the top 10, Canada earned the maximum three berths for dancers at Worlds in 2020. Was the lack of medals in 2019 a cause for concern? Again, Slipchuk said no. "We are at a point with a lot of new skaters moving through. We take a lot of pride in our athlete development although we recognize that historically, we have never really lit the world on fire at the junior level. But it doesn't matter because we see each step on the ladder to success as an important one," said Slipchuk. Slipchuk has the goods to back up his ideas about using the junior level to help develop the skaters. "We need to remember that we kept Gabby Daleman and Alaine Chartrand in juniors for as long as they were age eligible. In fact, Gabby's first senior competition was the Sochi Olympics and as we know she has gone on to earn a world medal. 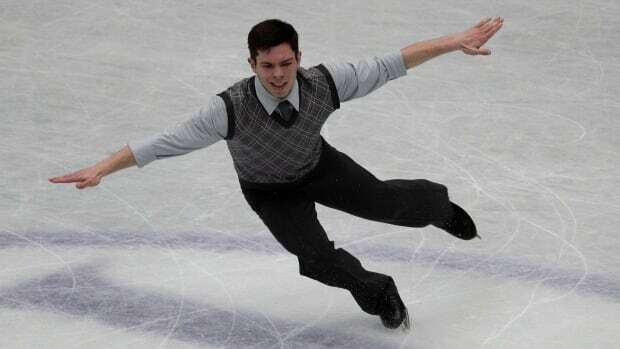 "Junior events offer the skaters the developmental chance to acquire skills, fine tune and build consistency, which are the tools that they need to be competitive in the senior ranks," said Slipchuk. It's interesting to me to see how year over year, it's no longer as clear who will finish on the podium. "You used to have pay your dues and wait your turn. Now, it's a question of some skaters coming in and being in contention right away," said Slipchuk. For his past two outings at worlds, 20-year-old Nam Nguyen didn't even finish high enough in the short program to qualify for the free skate despite having finished fifth in the world. "The field has changed so much even in the last couple of years. So, getting to skate in the free and finish in the top half is an accomplishment," said Slipchuk. Watching the world championships might seem like the destination, but for Slipchuk and his team at Skate Canada, it's just one step along the way of re-establishing Canada's figure skating identity.